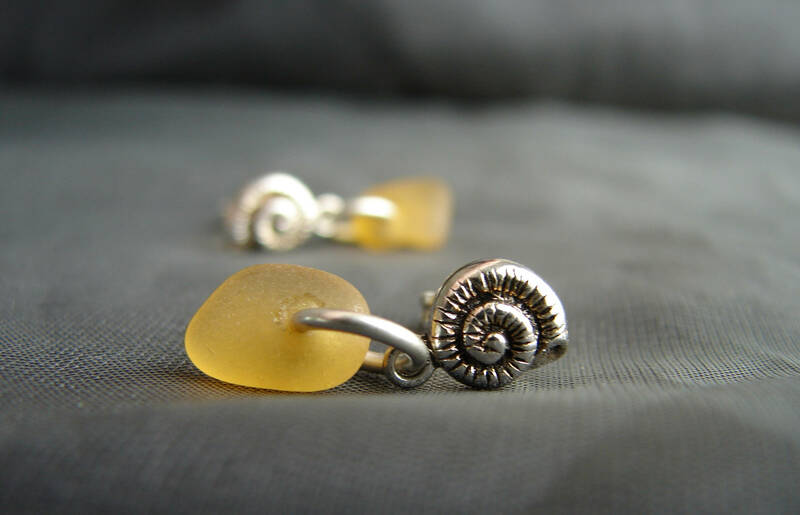 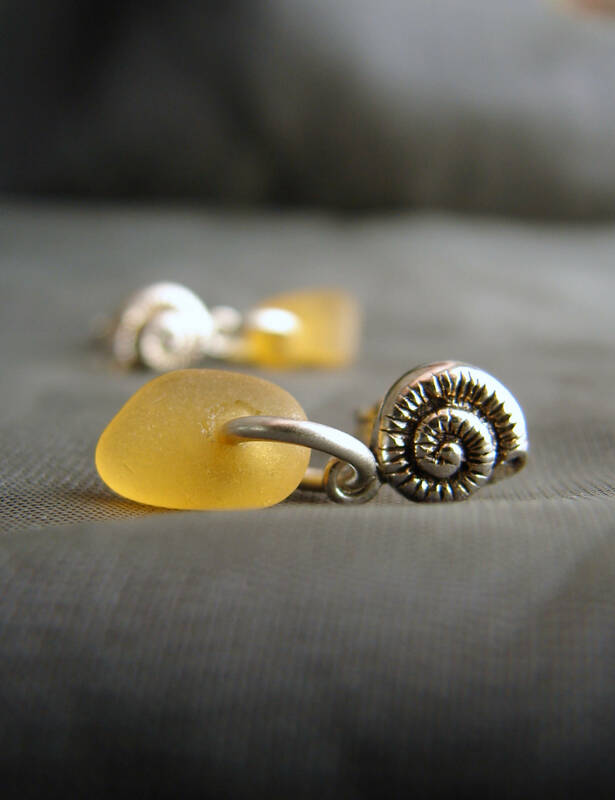 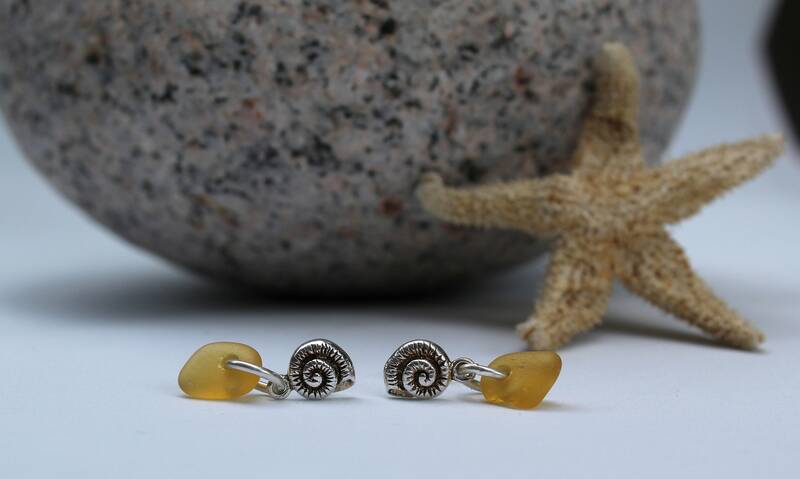 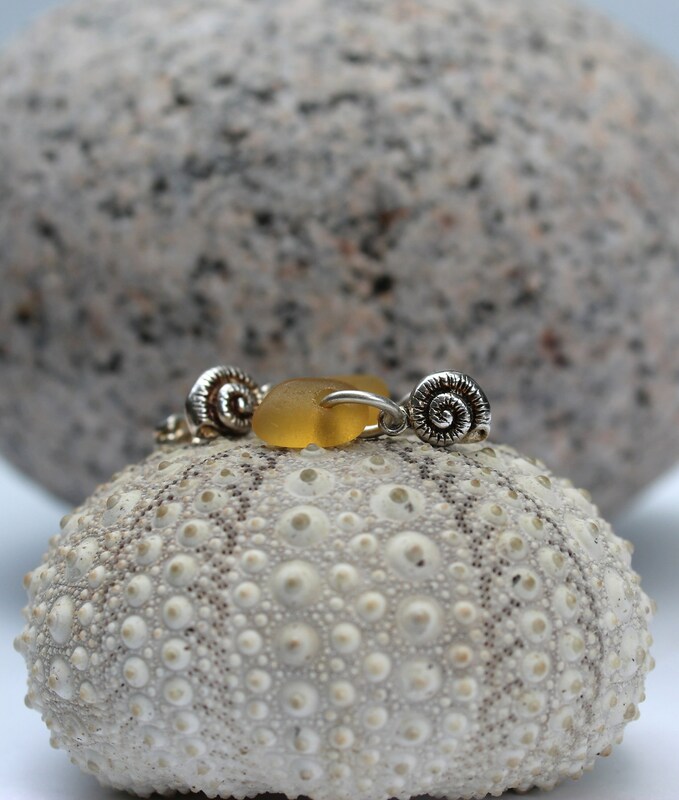 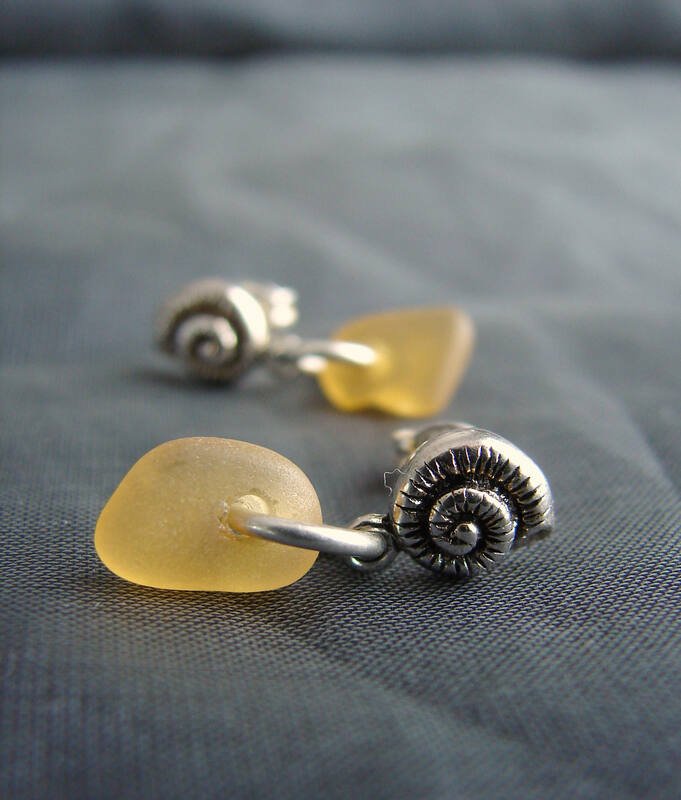 Our Little Nautilus sea glass stud earrings feature tiny pieces of amber beach glass suspended from sterling silver nautilus ear posts. 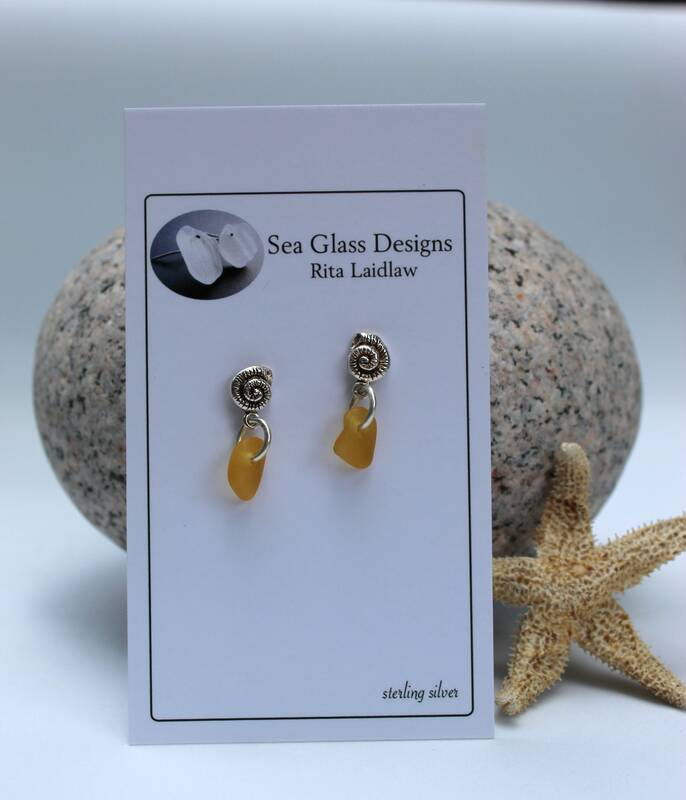 These delicate earrings are lightweight and dangle beautifully, a little bit of the sea for you to wear. 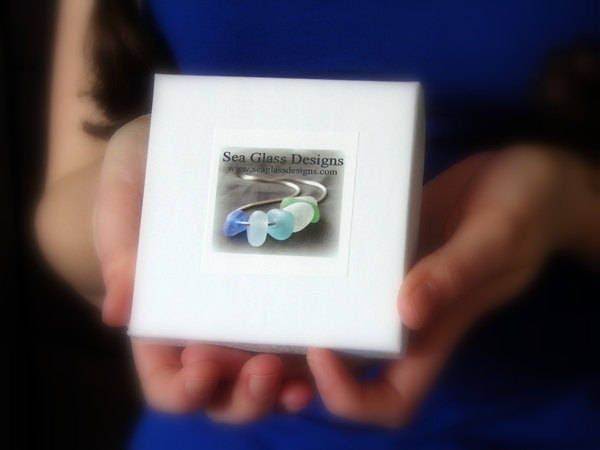 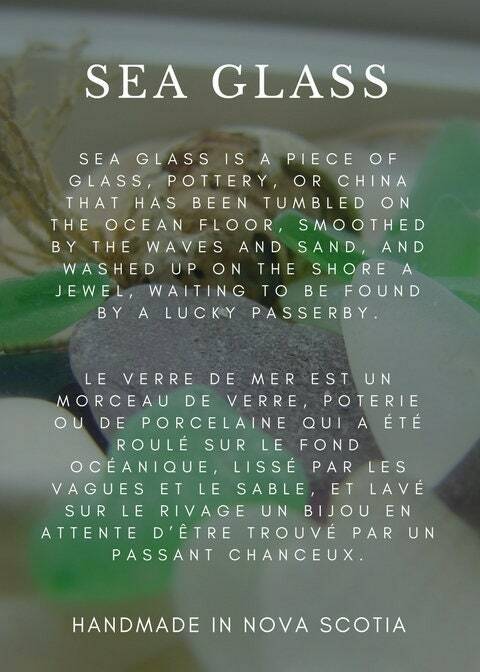 Our jewelry will be shipped in an earth friendly jewelry box, with the sea glass story on the inside lid, ready for gift giving. 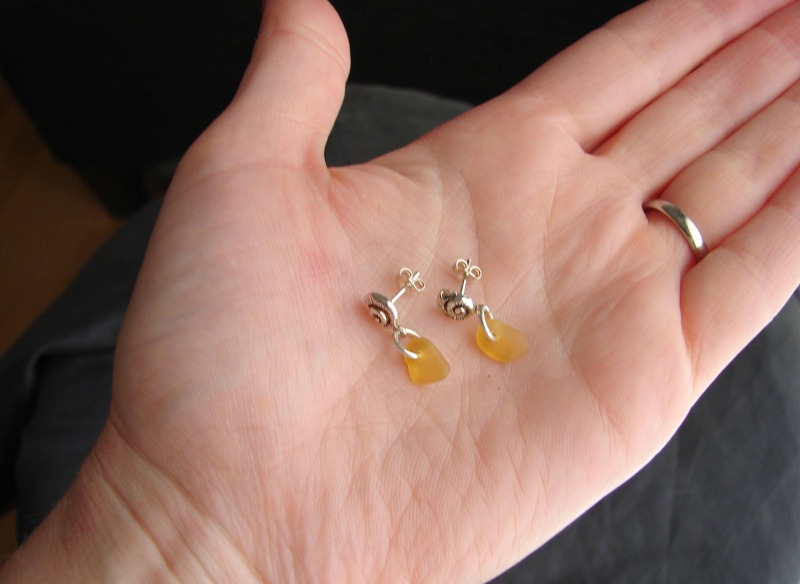 You will also receive a silver polishing cloth to keep your earrings looking new.